"The Gift Of The West"
After reviewing your previous port, I decided to do something better, and here's the meet-"the gift of the West"! Machine has high UVS, good place for battle at all distances. 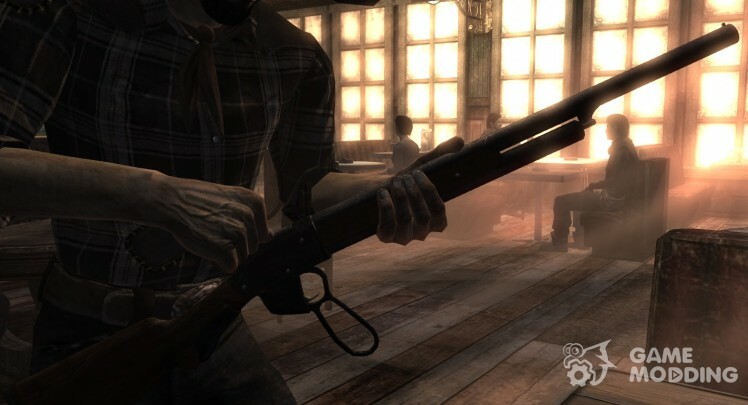 A powerful shotgun, with high durability and value, you can find it at school a post-apocalyptic, the character "kind". I plan to add it to the unique sounds of the shot. As you can see its specifications in the screenshot below. 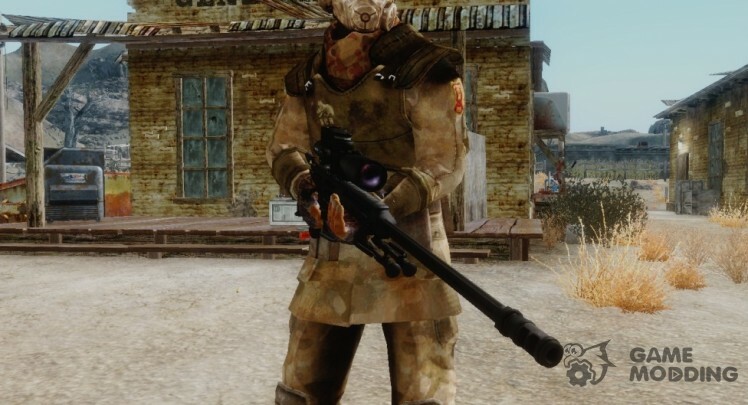 MOD adds American sniper rifle Barrett 98 Bravo. The rifle uses a manual reload with longitudinally-moving swivel shutter. When starting the game will automatically be added to your rifle in the inventory (see a post about it). 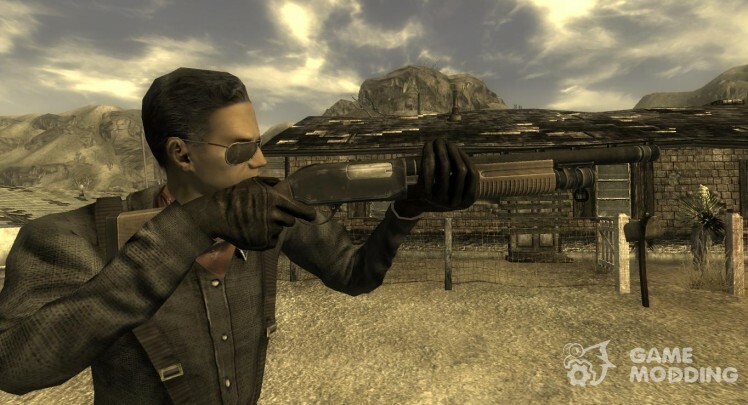 MOD adds a new shotgun in New Vegas. A very powerful weapon, cartridges calibre 12 uses and has the following characteristics: You can find it in E (see the screenshot). 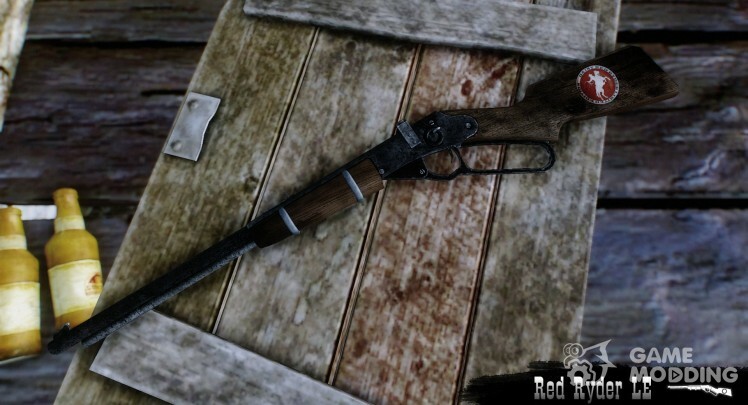 Classic lever-action shotgun, causes great damage. This model 28-inch barrel that slightly increases the range of fire "lies in 1887 in Casino Primme Vikki and Vance, in a bank in one of the safe deposit boxes. 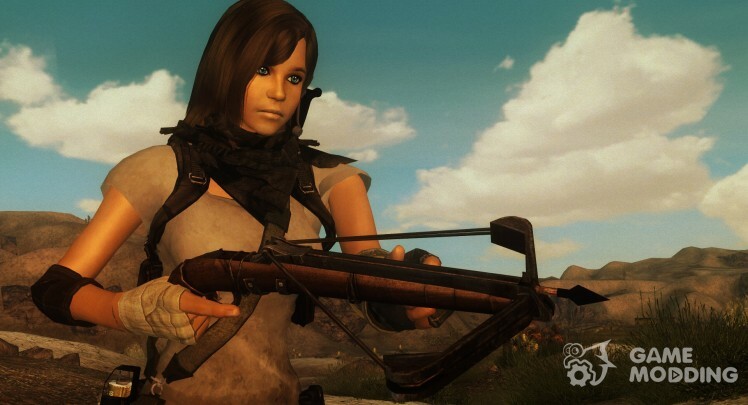 MOD adds to the Mojave Wasteland Homemade Crossbow. Also Crossbows bolts 9 species are added and 3 modifications. 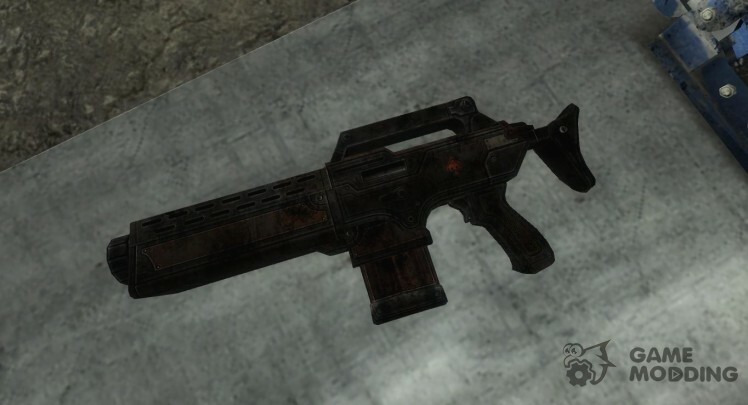 Crossbow can be found in the Mojave Wasteland. 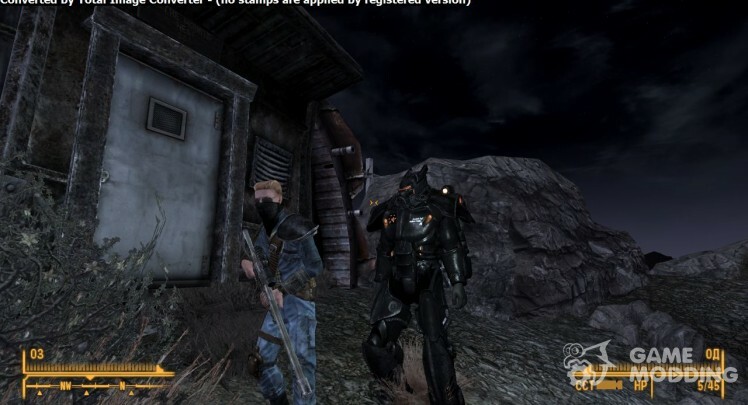 Once in the capital wasteland are alien spacecraft, became interested in the enclave. They found the TAM Alien Blaster and began work on the rifle. 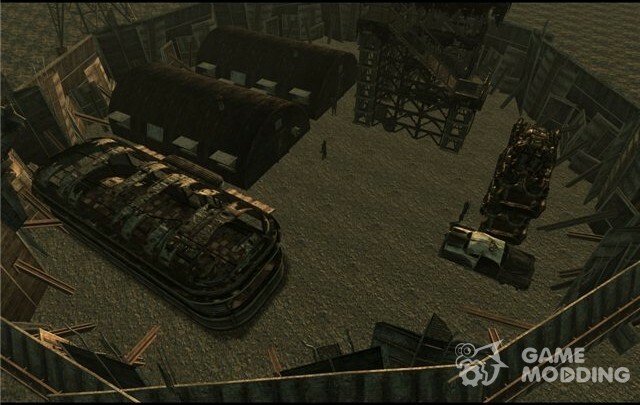 One sample of the Mojave wasteland hid. 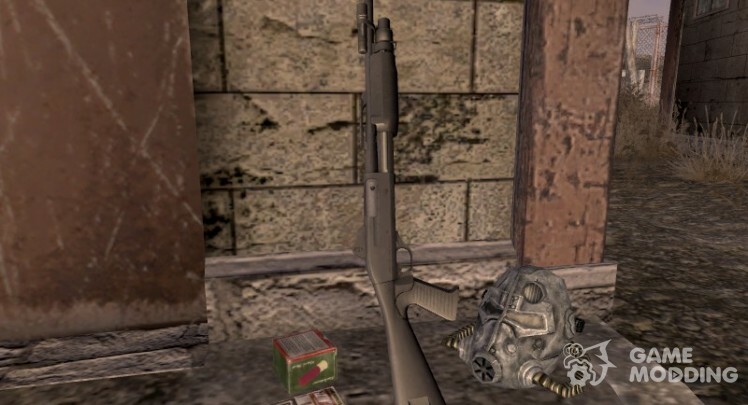 Fortunately, the Mojave wasteland is the only instance of this rifle. You can find it on the second floor of a department store in Niptone. 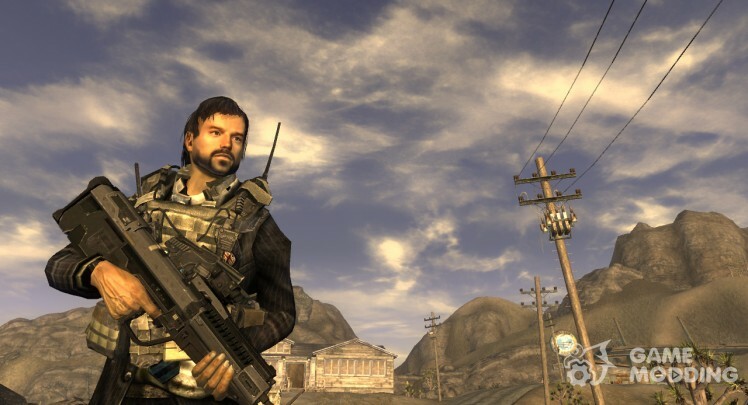 The rifle features like his counterpart from Fallout 1 + unique icon. The weapon is fitted with dioptričeskim entirely comfortable for long distance shooting.